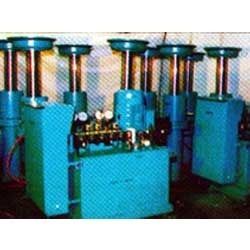 Leading Manufacturer of hollow plunger double acting cylinders, hydraulic cylinders, hydraulic cylinders and power packs and hollow ram hydraulic cylinders from Yamunanagar. 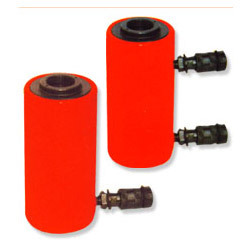 We are the prominent manufacturer and supplier of Hollow Plunger Double Acting Cylinders. The hollow piston allows for a rod or cable to be inserted through the entire body length, while the double acting design improves speed of operation when longer stroke cylinders are required. They can be used in tensioning, load testing, bush extracting and maintenance applications. Hollow Piston rod design allows for both pull and push forces. A hollow saddle fitted to the rod is supplied as standard. Interchangeable threaded hollow saddles are available as optional extras. Larger central holes can be made on request. Stop ring provided on all models. Female half coupler and dust cap provided on all models. Please contact us for cylinders with capacities & strokes not mentioned in the data sheets. All variations are possible on request. Our Hydraulic Cylinders is easy to use and cost effective in general. This is a special kind of product of this product category. The working is based on pneumatic cylinder. 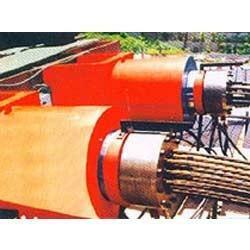 We are manufacturing hydraulic cylinders which is one sided in terms of working. In the manufacture we are incorporating international standard quality parameters. 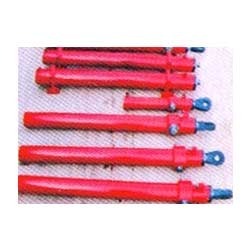 The Hydraulic Cylinders & Power packs offered by us are used in various industries like chemical, cement, steel, automobile, glass, power, heavy engineering and construction. Our hydraulic cylinders & power packs ensure flawless functioning and require very low maintenance, hence greatly reducing the maintenance cost. We offer these industrial hydraulic power packs in different sizes and specifications as per the requirements of our clients. We are the prominent manufacturer & supplier of Hollow RAM Hydraulic Cylinder. These general purpose cylinders are available in hundreds of different mechanical or hydraulic cylinder configurations. Whatever the industrial application; lifting, pushing, pulling and available in range of force capacities, stroke lengths or size restrictions.